Bottle A had twice as much apple juice as Bottle B. 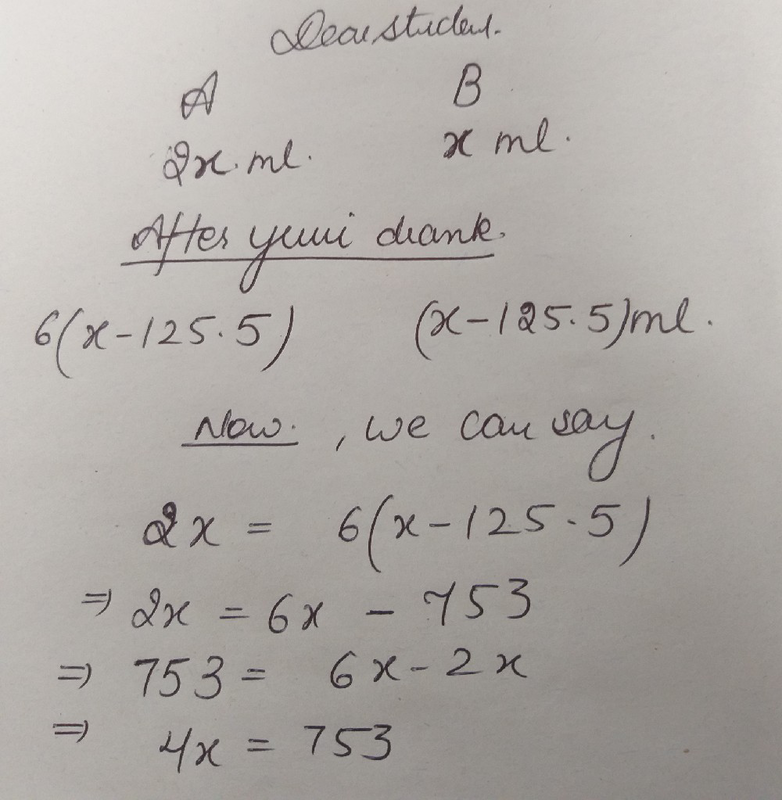 After Yuri drank 125.5ml of apple juice from bottle B, bottle A has 6 times as much apple juice as bottle B. 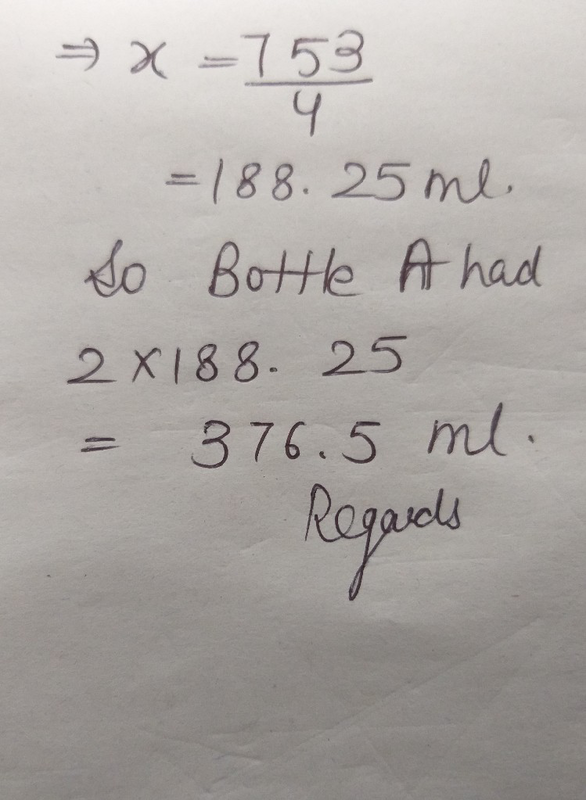 How much apple juice was there in bottle A at first?